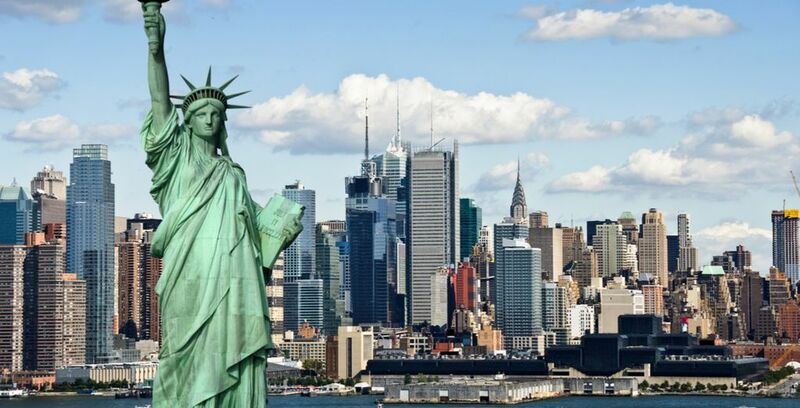 Booking to New York up to -70% off To take advantage of these offers, join now for free! Great savings ✅ on hotels in New York. 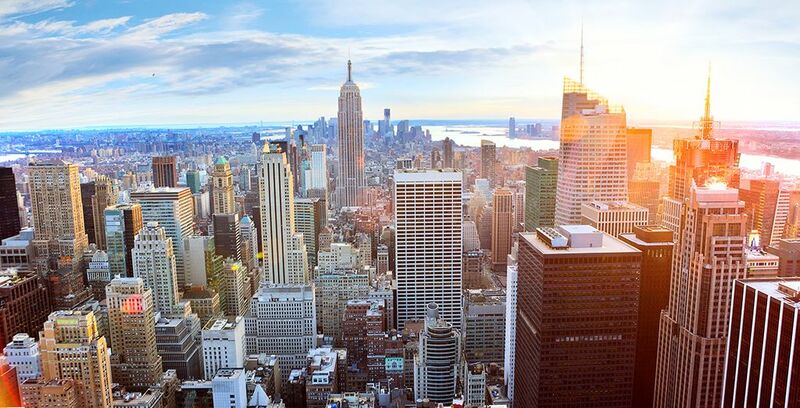 Discover our best offers for New York and United States. Top 5 Best Attractions and Places. 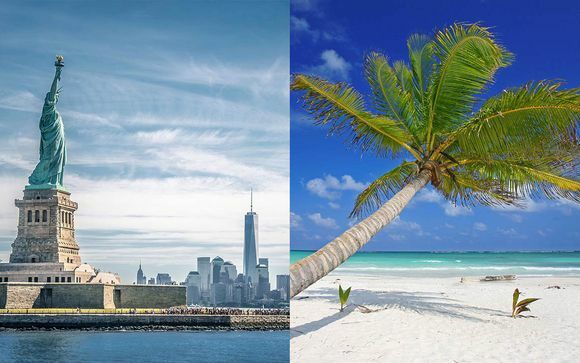 Do you want to stay in New York for your next trip? Here are our best plans to find the top hotels at the best prices. One of the top 25 hotels in New York, this contemporary yet warm and welcoming hotel lies within an easy walking distance of the exciting boutiques and galleries of SoHo. A modern boutique hotel surrounded by quirky 1920s architecture, the Iberostar boasts luxurious guestrooms and prides itself on customer care. Cosmopolitan and cool, The Freehand is built in the old George Washington hotel and retains much of the personality of the musicians and artists that graced its rooms. Works of art adorn the walls in this comfortable and relaxing hotel. A historic art deco hotel built at the height of the Jazz Era, the New Yorker lies in a prime location just minutes from Times Square and Central Park. 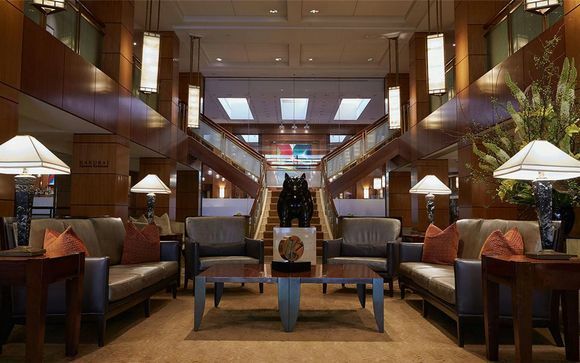 This elegant hotel lies in the heart of Manhattan making it the perfect base to explore the local landmarks. This hotel prides itself on being a “love letter to New York” and carries touches of glamour throughout. 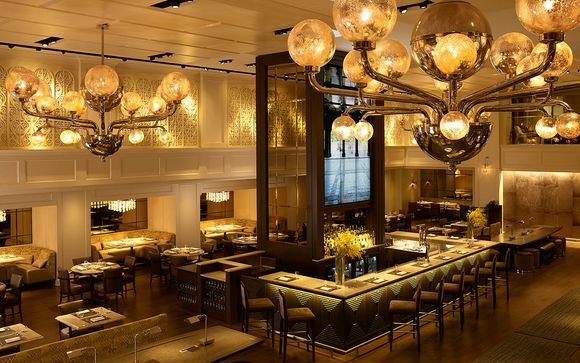 Inspired by NY history with unsurpassed views of the city, the Andaz is a dazzling hotel with a fun atmosphere. Standing in the heart of the financial district, the Andaz is ideal for both business and leisure. With its own New York Steakhouse, this is the largest Hilton Garden Inn in the USA. With a beautiful seasonal rooftop terrace as well as a well-stocked bar, there’s plenty to enjoy in this primely placed hotel. Stay at the beating heart of New York with this modern hotel in Times Square. 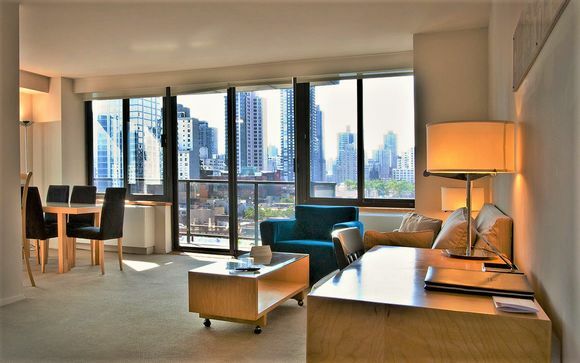 Soak up the vibrant city life then relax in style in a luxurious guest room. Our reviews on New York and its hotels: why make your booking there? New York is one of the most iconic cities in the world. From world-renowned sights such as the Statue of Liberty to tiny boutiques you will swear you were the first to find, New York has surprises around every corner. Couples can enjoy the most fairy-tale Christmas ever as New York transforms into a winter wonderland during December. Families will enjoy The High Line, an elevated park with regular events including stargazing. For nightlife lovers, New York has some of the best bars and of course, you can take one of many hundreds of shows on Broadway. Hotels in New York pride themselves on looking after their guests so expect those little extra touches that make all the difference. Click Join for free today for exclusive members-only offers. 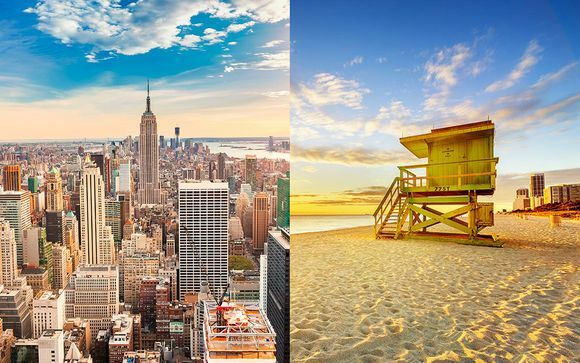 Once you’ve registered, you’ll have access to flash sales and up to 70% off luxury holidays to New York, as well as dozens of other prime destinations. If you can’t see your perfect hotel, set an alert and well let you know as soon as new offers arrive for your chosen destination. With Voyage Prive you can book your flights and hotel during the simple booking process direct on our website. If you’ve already got your flights sorted, just pick one of our lovingly selected luxury hotels and start getting excited about your trip to New York. Meaning “South of Houston”, SoHo is one of the trendiest locations in Manhattan. Moments away from Chinatown and Little Italy, SoHo is the perfect place to book a hotel from which to enjoy the true diversity of New York life. This broad avenue is home to some of the most stylish and unusual boutique hotels in New York. Look out for charming touches of 1920s jazz culture. 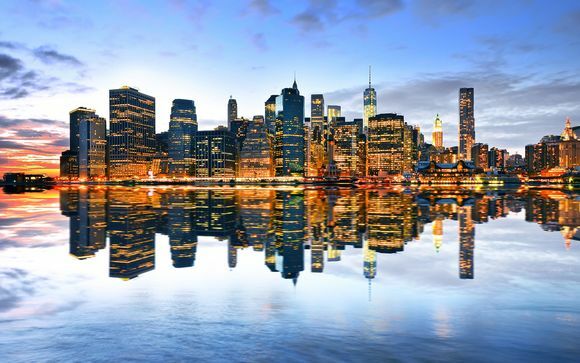 The financial heart of New York, Wall Street is also where you can find contemporary and sleek hotels with the splash of extravagance you’d expect from such a wealthy section of the city. 843 acres of parkland, gardens, and lakes open up the city and let it breathe. Hotels near Central Park allow you to stay in a prime spot close to both bustling city life and this relaxing green oasis. 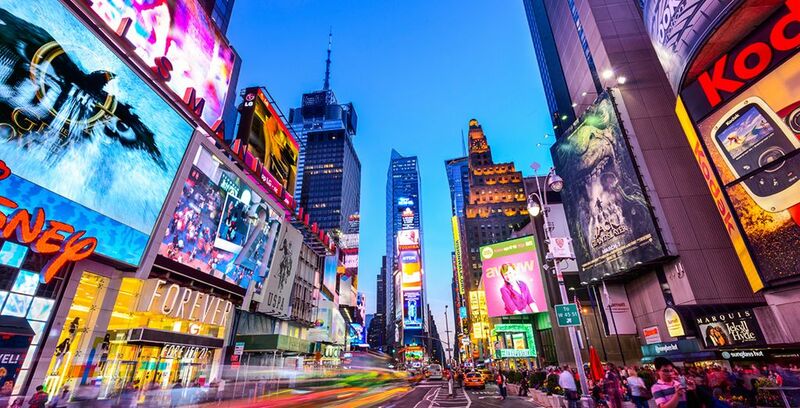 Flashing neon and giant billboards draw over 50 million visitors a year to this legendary intersection of Seventh Avenue and Broadway. This is the New York of movies and TV and has to be seen to be appreciated. New York is a city which is constantly evolving, yet has so many timeless landmarks. 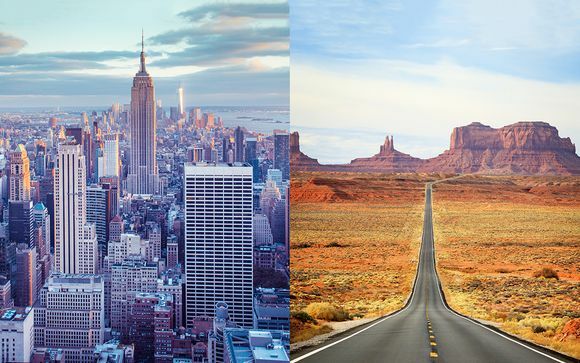 From Liberty Island to the Empire State Building, the hardest thing about travelling to New York is wondering how you’ll fit in everything you want to see and do. Take a culinary tour of the city, enjoying treats from a classic New York bagel to green baked eggs. The diverse communities of the city mean you can get authentic food from just about every nation in the world, so New York is a food lover’s paradise. From ice skating at the Rockefeller Centre in Winter to free shows in Central Park in summer, this is a year-round city with something to offer everyone. If you travel to New York in February, wear some red for good luck and enjoy the firecrackers, drums and dragon dancers of this traditional and exciting parade. Located near the famous Oyster Bar, the unparalleled acoustics of the whispering gallery allow you to whisper secrets to your friend in the opposite corner. A top spot for marriage proposals. Tourists and locals sing side by side at beloved karaoke bars in Chinatown. A fun and uplifting experience for the budding singers in your party. A luxury experience in an opulent setting. The legendary Palm Court with its stunning glass ceiling is the prime spot to relax in elegance and enjoy some delightful pastries. This 4-acre spot in Central Park is an ode to the English countryside. Filled with quince, cowslips and other native British plants, this glorious garden is the perfect spot to escape city life for a moment.